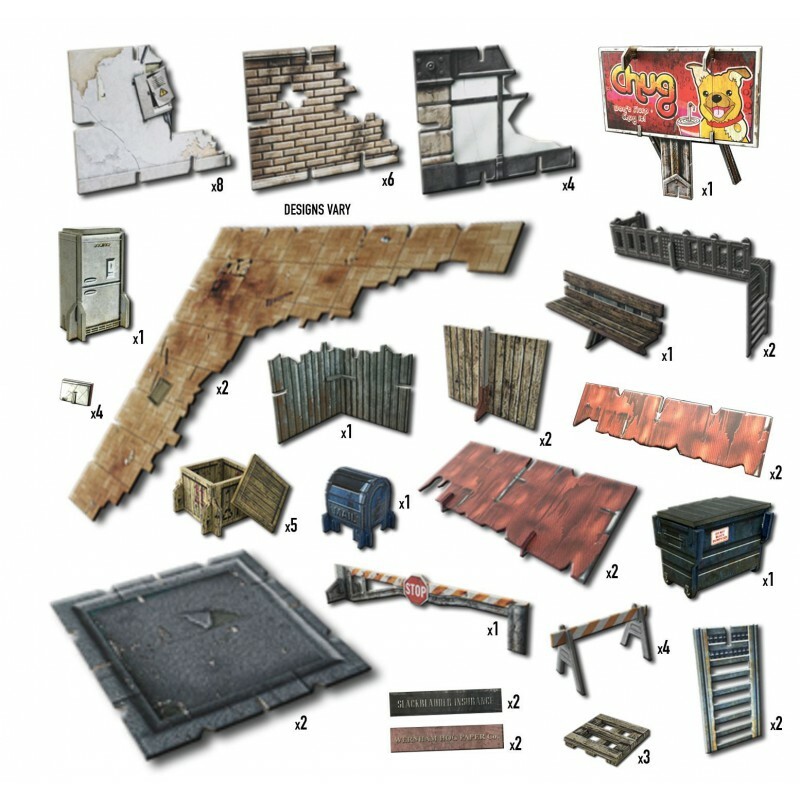 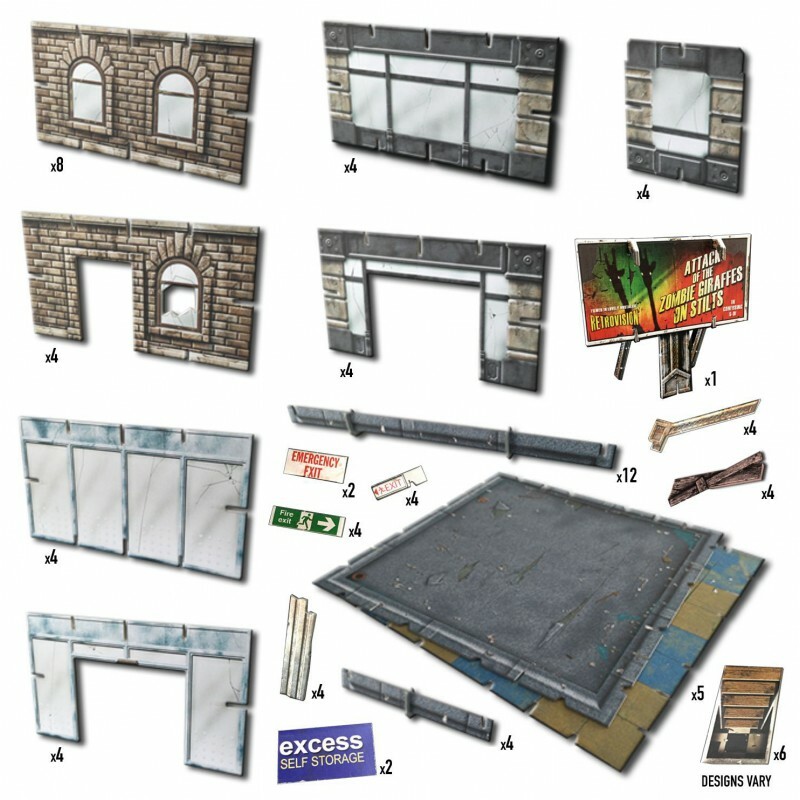 This box contains everything you need to build a multi-level gaming board covering an area 2' x 2' / (600mm x 600mm), suitable for all 28-35mm post-apocalyptic or contemporary games in an urban setting. 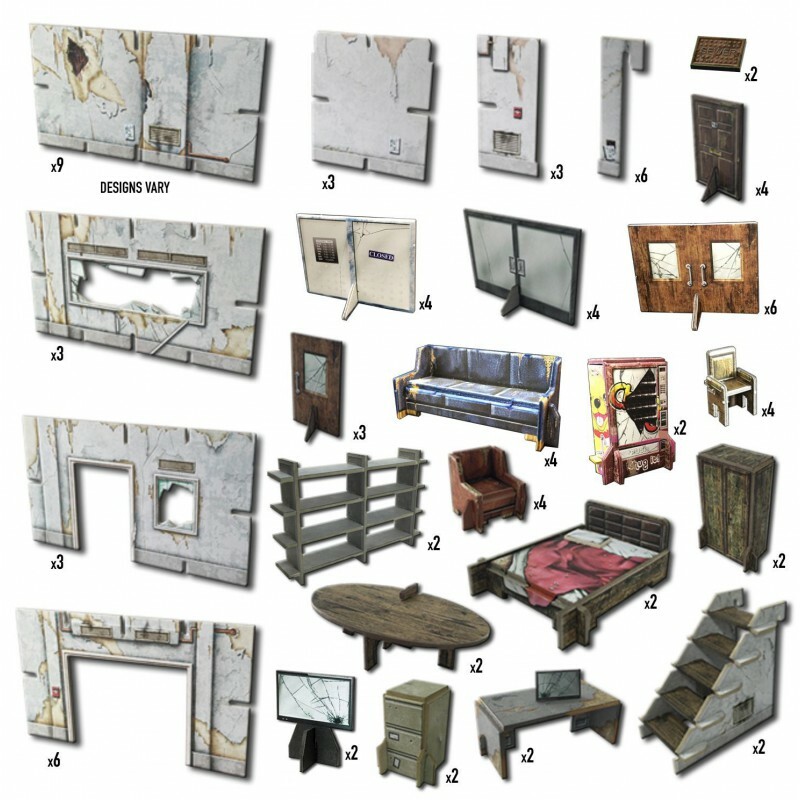 All the pieces are modular and can be assembled in any combination you choose for a different set-up every time. 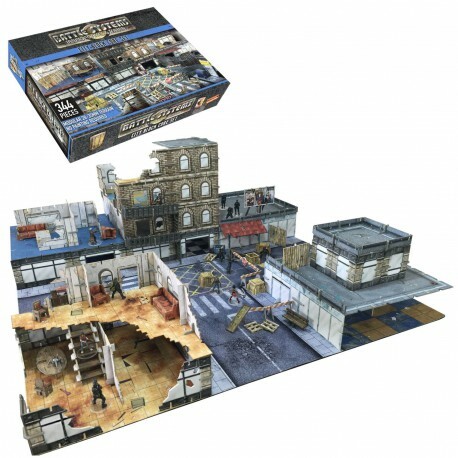 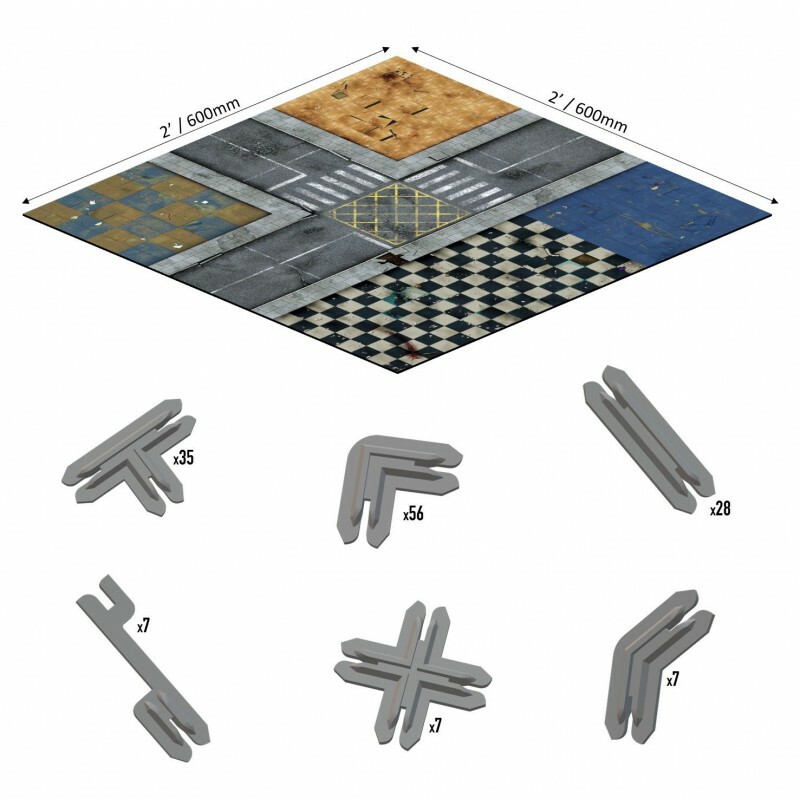 The set can be expanded with other sets from the Battle Systems terrain range.